I didnt think we could have done worse than Slay. We did. I am a little torn on the issue, I don't really trust the alderman to vote with a clear mind (as usual), but I also don't think 95% of the voting public would have a clue about it to be informed to vote on it. I am following it fairly closely and I really don't know what is going on with it, so John Doe down the street who isn't following it at all shouldn't be voting on it either. I need a lot more details go come out before I get too invested in it. Still too many unknowns. There really is nothing to get upset about the BA twice a week LHR-CHS flight it equates to nothing more than a twice a week four month summer charter flight nothing more nothing less. Who knows if it even comes back in 2020. I really do think STL is economically competitive for these flights, but it's a matter of $$$$. PIT, for example, is paying BA $1.5M in guarantees over two years time. That's relatively low risk for BA, even if the route flops, so we need to be offering something on par with that. Agreed. And of course a guarantee is not a certain cost to the City. If the route does well like BNA and to a slightly lesser extent MSY, the guarantees wont be called against (or not in full in any event). The City needs to gamble on its own attractiveness in effect. Owner of crown candy kitchen had an interesting flight (or non flight) from CUN on F9. Someone really didn't want their vacation to end. “If he would have opened door in-air, who knows what would have happened,” he said. Sigh. Every time something like this happens, someone says that. Did no one pay attention in high school physics class? One of the releases I always enjoy. 3rd qtr noise report, but it includes airplane type and runway usage at the airport. Filled out my LF spreadsheet for July. WN has too many to list. Most everything was above 80 with lots above 90. MSY was the only one that stuck out as below 80. CVG on DL still lacking. July was the first month all year passengers were up on the route though. Partly could be because WN started CVG service June 2017 so from June 17-June 18 some people who were flying DL moved to WN. This was the first full month of overlap. When do you usually update the RJs? The numbers have RJ's included. If you want a certain RJ's numbers broken out for a certain airport let me know and I can get it for you. I just can't guarantee with airline it went with for those 2 cities. I could probably do LGA. I think AA is all republic and DL is all endeavor. Yeah, I'd like to see ORD. Isn't AA ending its Trans States contract soon anyway? AA is going to be discontinuing its contract with Trans States in 2019, and there was an article on Bloomberg that AA is going to be discontinuing its contracts with AX and EV (which can be found at https://www.bloomberg.com/news/articles/2018-05-04/american-air-to-end-regional-deals-with-expressjet-trans-states). I'll try to get to ORD tonight. And yes it is, that will make things a little easier with TSA going all UA. I might have to break it out as what I know is UA, what I know is AA and then other. But I will get something up. Okay ORD is updated now. It should be right. Jan/Feb could be a tad off cause I didn't keep track of plane type then but I think it is good. Close enough at least. The very last tab (raw) still should only be the ORD flights until the next time I need to update the entire thing. So, it will have everything broken down by month/airline(including RJ airline broken out if you want to see more specific). Only thing to watch out for is that diversions show up so there will be a random Delta/Alaska etc because when they are going to ORD they get diverted here a lot. Oh, hello there. Number 6. This site has been screwed up for me all day. It was just a matter of time before I did a multiple post, wasn't expecting a 5x one though. I think one issue is the working group doesn't even have much information yet to share. They just started this a couple months ago. People keep wanting answers that no one has. It is easy to say give us info! But what info do they really want to know that the working group has an answer to? It seems like the people who are super against it just want to shout to shout about something. Until I see proposals, I am not going to get too bent of shape on things. Those are what I will want to see before I decide anything. People just need to be a little patient. If that is how they count it then it should have been tougher for us to make the list. It is a raw number not a X per 100k like the violence lists that get skewed by low city population. Plus, since the city itself (land wise) isn't very big I would think they would have hurt our standing since there aren't as many places to stay in the city limits as other cities, not helped it. I would think plenty of visitors to STL are going to see/work with people who live in the county. Airport bookings (which are part of it) are to the airport, regardless of where they are going. No LA i surprising though but I am sure it gets divided up somewhat. I'm not even sure what that's supposed to show. So, it's the percentage of people booking airline tickets to STL that are also booking hotel stays in STL? What's the significance of that? Anyway, I thought it was interesting. I think most wouldn't have expected STL to be anywhere near a list like this, so it is nice to see there is some momentum hopefully. It is easy for people here to get in their bubble here and look at the downside of everything. E40 now has a Jet Bridge and is in use for Southwest. That puts them at 17 gates now. It is going to be tight down in that E34-40 area though. It also means all the gates for what of concourse D is open is now taken. If they want more gates they will have to open up another section of D. They could probably get about 3 more gates in if they opened it up until the next choke point. Don’t tease me like that. I would love anything from them, especially Boston. I posted this recently but I wish they would add BOS/LAX/SEA (even on E175s) and a TATL. Move to the end of C and open a sky club in the old Admirals/TWA club. I know it’s a longshot for them to add all that but I would like to see them expand, even if it means pushing AA out a bit. I know they tried in the early 2010s to expand here and it didn’t work, but I would assume there is less AA loyalty now. Don’t tease me like that. I would love anything from them, especially Boston. I posted this recently but I wish they would add BOS/LAX/SEA (even on E175s) and a TATL. Move to the end of C and open a sky club in the old Admirals/TWA club. I know it’s a longshot for they to add all that but I would like to see them expand, even if it means pushing AA out a bit. I know they tried in the early 2010s to expand here and it didn’t work, but I would assume there is less AA loyalty now. It will definitely be interesting to see what happens with Delta in Boston in 2019. Clearly they have plans and are looking to move on said plans. Knowing that Delta always seems to figure out a way to "do things," wouldn't surprise me to see them add Boston-O'Hare. That'll be a nice discussion thread. I’m actually surprised they don’t run BOS-ORD already. WN usually charges lower fares on STL-OMA and STL-MKE flights than DL usually does on STL-CVG nonstop flights, and the lower fares stimulate additional demand for WN nonstop service to STL from OMA and MKE. In addition, while OMA and MKE are located in metropolitan areas that are smaller by population than CVG is, there is currently significantly more demand for WN service out of OMA and MKE than there is out of CVG, and the PDEWs are also higher on the STL-OMA and STL-MKE routes than on the STL-CVG route. 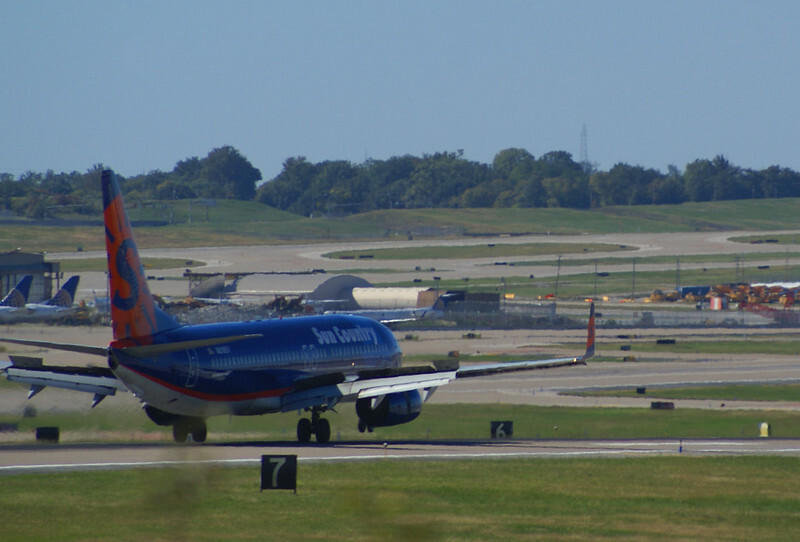 There are some travelers in the Greater St. Louis who drive to the Cincinnati area instead of flying DL to CVG from STL or connecting to CVG from STL through Chicago, and WN would be able to capture some of travelers who currently drive to the Cincinnati area from St. Louis if WN adds STL-CVG nonstop service. There are also some travelers in Greater St. Louis who currently fly to CVG on DL who would switch to WN if WN added CVG-STL nonstop service. WN already has nonstop service from STL to most of the domestic destinations east of CVG that DL serves still nonstop from CVG, and JFK is currently the only U.S. destination with nonstop service out of CVG on DL that isn't currently served nonstop from STL. On the other hand, WN would be able to connect passengers to destinations that aren't currently served nonstop from CVG such as DAL, DSM, HOU, LIT, OAK, OKC, OMA, PDX, TUL, and ICT from CVG through STL if it added STL-CVG nonstop service. WN adding STL-CVG nonstop service would likely lead to lower fares on the STL-CVG nonstop flights, and WN would also be able to provide Cincinnati-area business travelers with easier access to the western half of the Midwest, the South Central U.S., and the West Coast from CVG if it adds STL-CVG nonstop service. I can't even process what this all says, and I am not sure what OMA/MKE-STL has to do with STL-CVG. Whatever you were trying to say probably could have been said in 3 or 4 sentences and a lot easier to understand instead of all that rambling. Also, I am pretty sure CVG already has tons of one stop options (on multiple airlines) to all the places STL would connect them to. can't even process what this all says, and I am not sure what OMA/MKE-STL has to do with STL-CVG. The point that I was trying to make is that OMA, MKE, and STL are approximately equidistant from STL, but there is more demand for STL-OMA and STL-MKE nonstop service than there is for STL-CVG nonstop service. While I agree with your point that CVG has plenty of one stop options (on multiple airlines) to most of the places that STL would connect them to, there is currently no nonstop service to DSM, LIT, ICT, or TUL from either MDW or CVG. Connecting through STL on WN to LIT, ICT, or TUL from CVG would be a much better option than connecting through ORD or DTW on AA, UA, or DL carriers if WN adds CVG-STL nonstop service. Yes and no. WN is a mixed bag with business pax. In STL they are obviously the carrier with the largest overall pax share, so many STL business pax have adopted them as their carrier of choice. But in a market like CVG with strong legacy presence, a lot of business pax are hesitant to use WN. Advance seat selection, and FF status drives a lot of pax in markets like CVG to use the legacies... even if that means going slightly out of the way to connect in DTW/ORD over STL. This^ I would imagine a majority of the business passengers at CVG aren't flying WN with it being so new there. So, I am not sure adding a one stop option on WN to those 3 smaller markets matters much to CVG people. I would imagine the PDEW numbers between them and CVG is pretty low. I agree with your point, but WN already has nonstop service to most of the other legacy carrier hub or focus city airports from STL, including SEA, SFO, LAX, PHX, DEN, MSP, DTW, ATL, BOS, LGA, EWR, PHL, DCA, and RDU. SFO, LAX, PHX, DEN, MSP, DTW, ATL, LGA, EWR, PHL, and DCA also already have nonstop service from STL on at least one of the big 3 legacy carriers in addition to WN. DEN, MSP, DTW, ATL, LGA, EWR, PHL, and DCA also currently have more nonstop service out of STL on the legacy carriers than CVG does. CLT, CVG, SLC, and IAD are the only legacy carrier hub or focus city airports served by WN that don't currently have nonstop service to STL on WN, but AA already serves CLT nonstop from STL, DL already serves CVG and SLC nonstop from STL, and UA already serves IAD nonstop from STL. While WN doesn't currently serve DFW, IAH, ORD, MIA, or JFK, WN already has nonstop service to DAL, HOU, MDW, FLL, and LGA from STL. A couple notes for November. I already know who flies where, you don't need to list it all out and make your posts more confusing. STL has service to all those places for the people in STL's sake because lots of people here fly WN. So what does that have to do with CVG business people? Just get to the point instead of listing out these long lists. Have we heard any mumblings about Sun Country at STL so far? 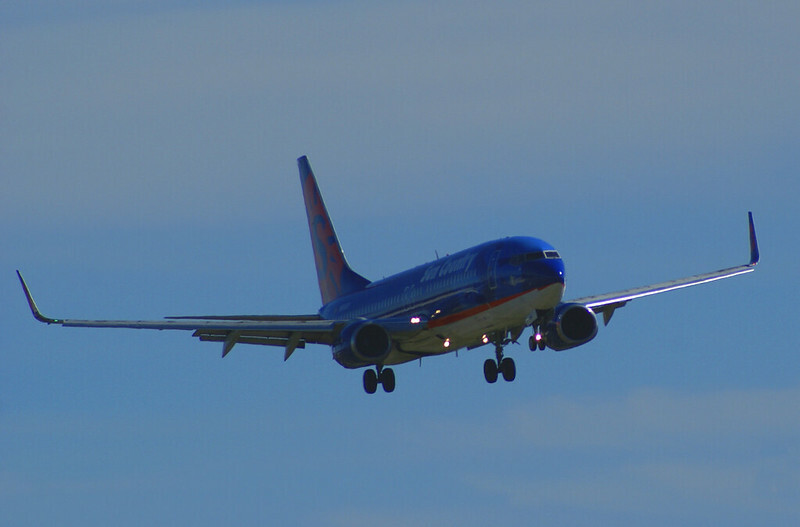 WN adding CVG-STL nonstop service would give CVG-based business travelers easier access to the western half of the Midwest, the South Central U.S., and the West Coast from CVG. There would also be many WN customers in Nebraska, Iowa, Kansas, Missouri, Oklahoma, Arkansas, Texas, and California who would be connecting to CVG through STL if WN adds CVG-STL nonstop service. I haven't heard anything. Looking at a couple seat maps they seem to be 50% or so full for people who are paying for their seat choice ahead of time. That is a little better than I actually expected. I don't see much advertising so hopefully they are working with travel agents. I am curious what they try to run for summer. Appears they are letting OTAs do most of their selling and marketing for them. They have been rather quiet on the social media channels with STL and what have you, but not a surprise given the current turn over going on at HQ thanks to the operational changes. i'm sitting here watching NCIS resisting such an urge to parody all this. But somebody asked for pictures of Sun Country at STL. I had a bit of a camera failure (zoom got jammed and required some serious technical taps to dislodge.) So the early returns aren't my best work, but . . .
All right! Proof they exist at STL! Which gate are they using again? Sun Country's first flight to TPA is sold out tomorrow. Great to see. ^^that was one good looking cake! !